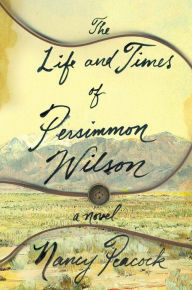 The Page 69 Test: "The Life and Times of Persimmon Wilson"
Nancy Peacock’s novel The Life and Times of Persimmon Wilson was self-published in 2013, and in 2015 won First Place in the Writer’s Digest Self-Published Book- Mainstream Fiction category. That same year the book was picked up by Atria Press, a division of Simon and Schuster. Peacock is the author of two earlier novels, Life Without Water (chosen as a New York Times Notable Book) and Home Across the Road, as well and the memoir and writing guide, A Broom of One’s Own: Words on Writing, Housecleaning and Life. Holmes counted out loud. I remember puffs of dust erupting in front of my mouth, as I blew air out with each lash. I remember grit settling in my nose, my eyes, my mouth. After a while I felt my flesh split open. The slaves began to moan. Their voices rose and fell into crescendos and valleys as each blow fell across my back. I felt another strip of skin peel away. I felt air move across muscles and tendons. I felt hot rivulets of blood pour down my sides. I saw a piece of my flesh plop wetly into the dirt in front of me. I do not know at what count of the lash I went unconscious. I do not know where my mind went or how it could have gone anywhere at all while my body endured such treatment. Time passed. Flesh peeled off my back. The slaves moaned. More lashes were delivered. The counting continued, but I could no longer hear it. After it was over Holmes must have commanded that someone cut me loose. He must have coiled the whip, and handed it to a slave to be put away. He must have daubed his hands, wet with my blood, on his pants legs. I came to as I was being loaded into the bed of a cart. I lay on my side as the cart bumped down the lane. Each squeak of the wheels tore into my brain. Each jolt of its hard wooden shelf ran through my body like bolts of lightning. “Is he dead,” someone asked. The Life and Times of Persimmon Wilson: In April of 1875, Drunken Bride, Texas, Persimmon Wilson, a freed slave, is about to hang for the murder of his former master, an act he does not deny. What he does dispute is the identity of a woman named Chloe, a former house-slave whom Persimmon was in love with, and whom the man Persimmon killed was obsessed with. Persy, as he is known, is a strong, dignified man. He is defiant, intelligent, articulate, brutally honest, and insistent on defining himself rather than allowing others to define him. On page 69 Persy is about to be whipped after Master Wilson caught him with Chloe. As is historically accurate for punishment of slaves on cane plantations in Louisiana, he is staked to the ground. The field slaves Persy labors with are required to witness his punishment. An overseer name Holmes is the one to do the work of whipping. I think page 69 is very representative of Persy’s personality and literacy, if not his anger and lack of passivity. Throughout the narrative, and in this scene, a reader can feel that he is a survivor, doomed in life but never in spirit. My Book, The Movie: The Life and Times of Persimmon Wilson.